Most people use routers as a handheld tool. 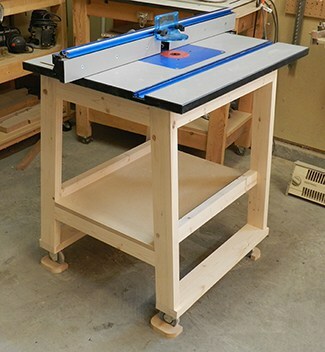 While it’s a viable option, a router mounted in a table (or a router table) is safer to use and can be used to cut on a whole different level. 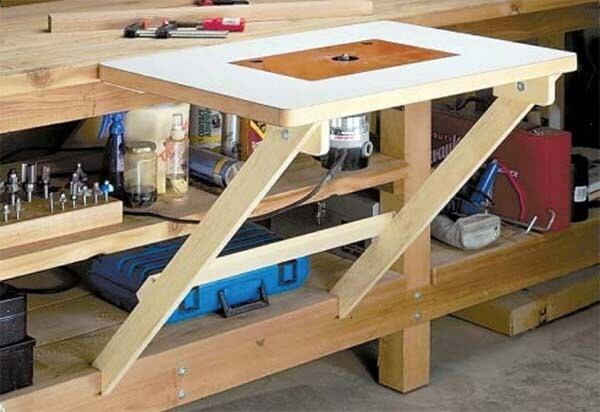 This router table appears very useful. It has ample room for your router. And lots of workspace too. But it also has nice drawers that would make a nice place to store little odds and ends. And to make it even better the plans are free. So it can be yours for the price of the wood and the accent pieces. If you are a fan of Ana White then you know that she has just about anything you’d ever want to build around a homestead or tiny house. We personally love her around here. So it should come as no surprise that she has a great plan to help you build a great router table. It has ample storage and workspace. Hopefully you’ll love it as much as we do. If you are in the market for a really simple design this is it. 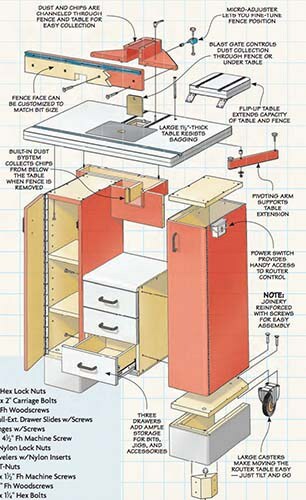 For people that are a novice at carpentry this might be a great build for you. So there are no drawers and other add-ons. 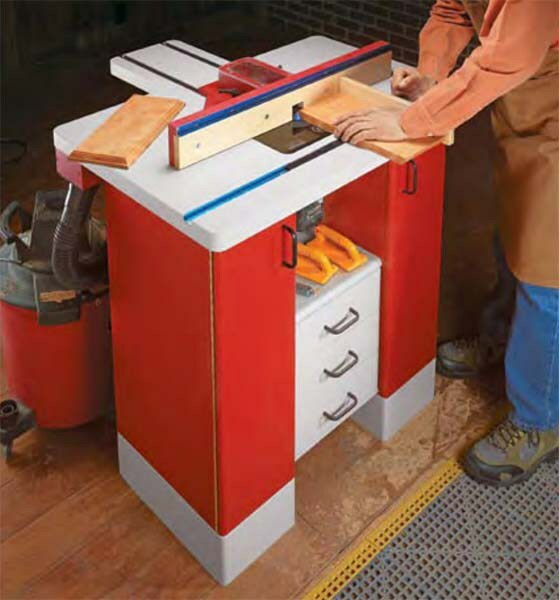 But it still is a very nice, clean look for a router table. Any ‘newbie’ would be proud to say they had built this. 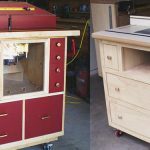 This router table isn’t just a router table. Oh no! It can also be built to hold a jigsaw and a circle saw. So if you are a carpenter or someone that has pretty good carpentry skills then you would love having this table in your life. The selling point for this router table is that they are trying to recreate every detail you would get in a store bought router table. 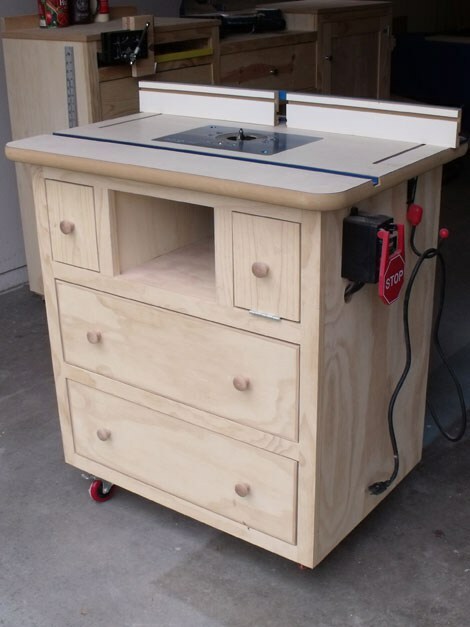 So if you desire to have a nicely designed fence, sag free top, and a built in cabinet then you might have just found your future router table. Even better, they claim you can build this one for half the price of the store bought tables. 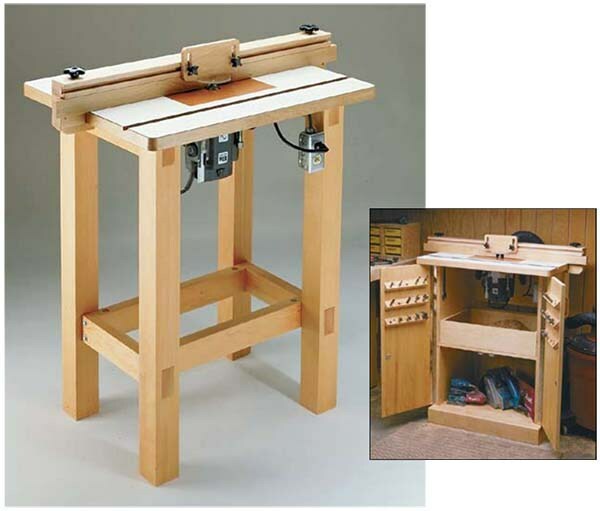 I love this router table, and I love the article that tells you how to build it. The reason why I love the article is because they not only tell you how to build it, but they give you a finished product. It gives you a little encouragement as you tackle a new project. But I really love the design of the project because it is super simple. 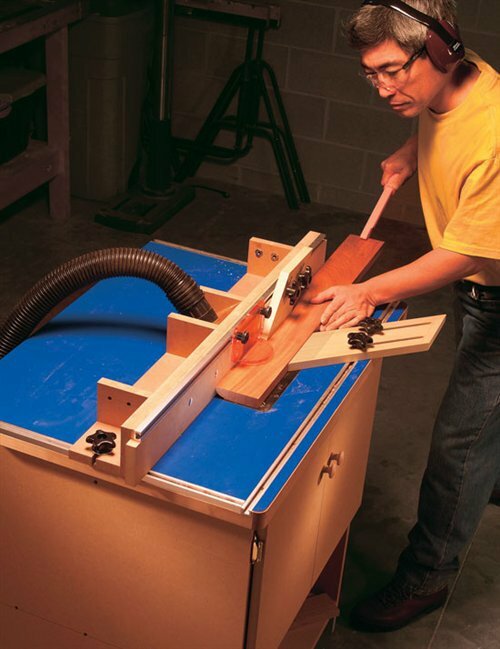 Not everyone wants an extravagant router table. So for those that desire something on the basic side this is a great option. I’m a fan of this router table. 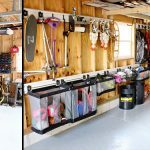 It isn’t quite murphy style but it is really unique and great for houses or storage buildings that don’t have a ton of storage space. 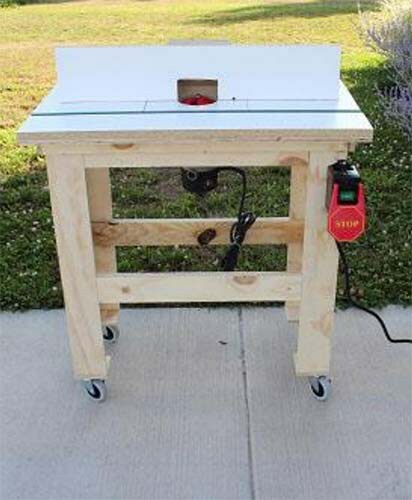 So this router table can be attached to a work bench. You pull it up when in use and then just fold it away when not in use. It reminds me of the old TV dinner trays. Those were handy and so is this router table. 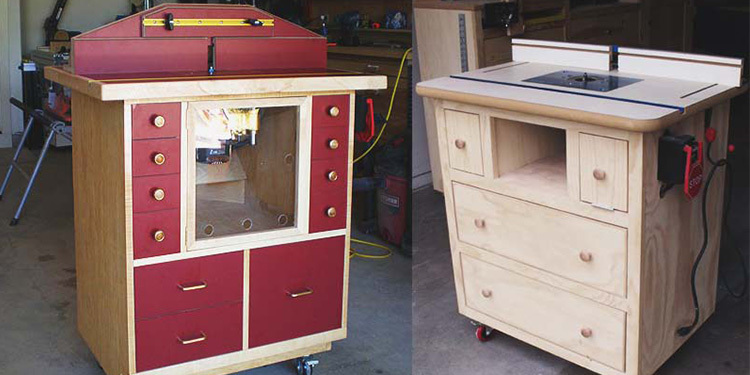 This router table is all you could really every want in a router table. It obviously has great workspace for any project you and your router might get into together. But it also has loads of storage space. There are pull out drawers and two full cabinets too. 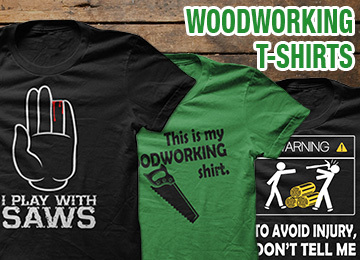 This would be a woodworkers dream. 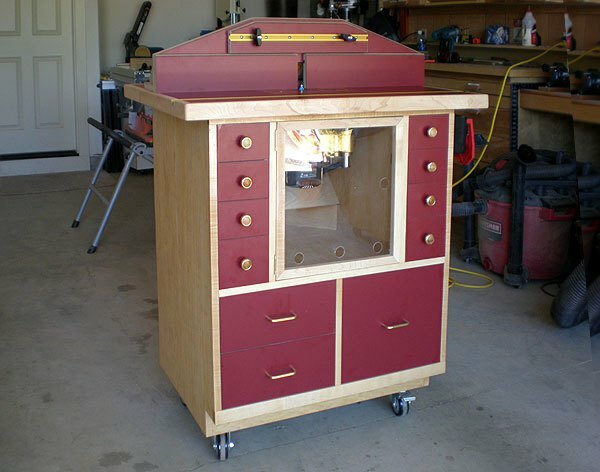 This is another ultimate router table. It has all of the functionality you could ever want. 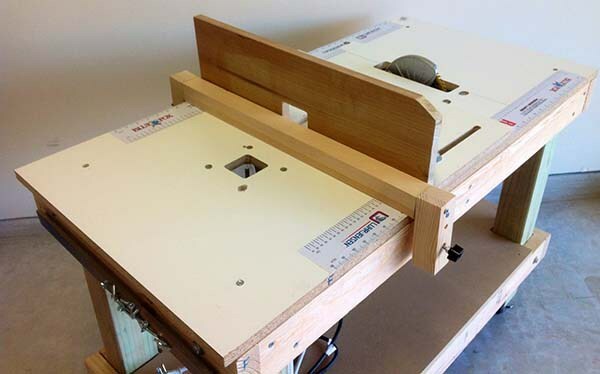 Just imagine all of the amazing projects you could build with this as your router table. But it also has a ton of storage too. So if you’d like cabinet space or drawers this one has it all. Not only could you build until your heart is content but stay organized while doing it. This router table is very basic. It doesn’t offer any kind of storage. It is basically a workspace and that is it. But if you don’t desire to have any additional bells and whistles then this workspace might work great for you. 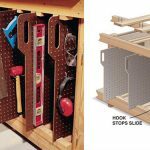 It is a good size and should be easy to utilize.